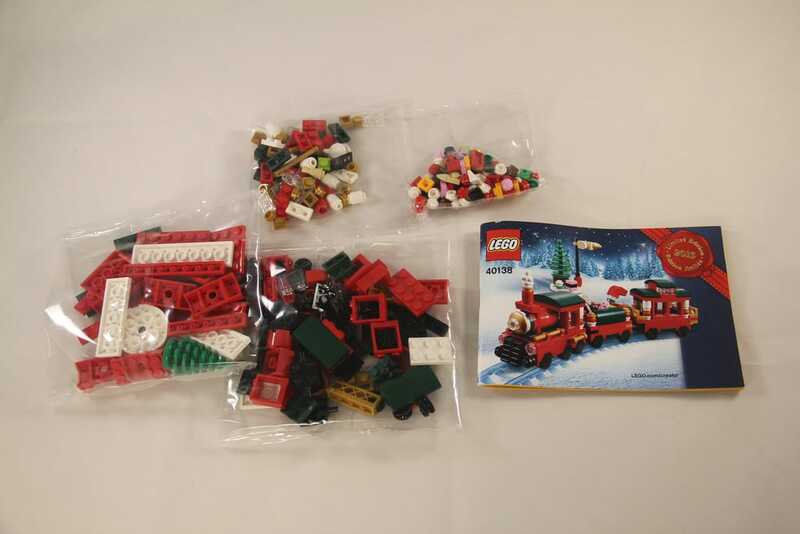 As it is the Christmas season, I thought it fitting to spend the month looking at some Christmas themed sets. 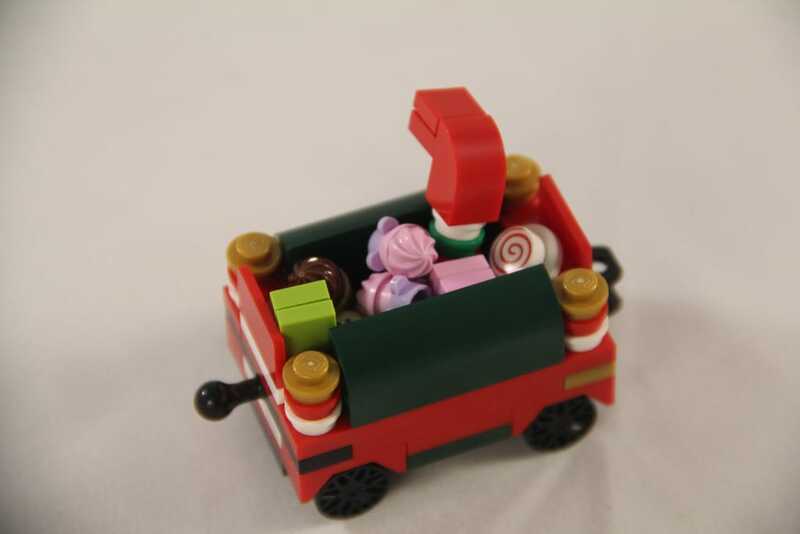 Last week we had a look at 10245: Santa’s Workshop, and today we’re looking at something a little different. It’s much smaller, but still very festive. 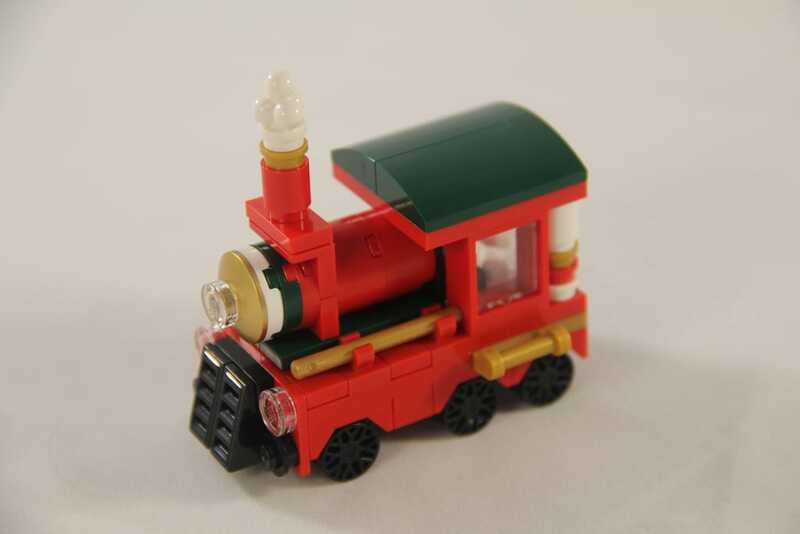 If you spend over $99 in the LEGO Shop Online, you’ll get one of these – 40138: Christmas Train. It’s got no minifigures, or tracks for that matter, but it’s still a great little display piece for the Christmas displays. In the box are four small parts bags and an instruction booklet. Due to the small nature of the set, there’s no unique parts, but some that are a little harder to come by, and some that are just nice to have some more to add to the collection. The earth green 1x4x1 bowed brick are the hardest to come by, having only been seen in one set – 10242: Mini Cooper MK VII from 2014, which I reviewed a few months ago. The earth green, bright red and gold colours go really well together, and is perfect for Christmas sets. It’s vibrant, eye catching, and has a touch of royalty to it. I love it. Other good inclusions are the 14 small rims, 1x2x2 window frames in bright red, the candy and cookie 1×1 round tiles, and the ice-cream used as smoke. There’s really only one thing you can do with this set, and that’s drive it around. It’s fun to scoot around the carpet or holiday scene, and kids love it, as it’s extremely cute, and filled with tasty treats. The build experience in this set is very gratifying. It’s not difficult, so perfect for little kids (these sorts of sets are ideal as stocking stuffers), and adults alike. The build works it’s way down the train, with the engine first, followed by the cargo car (or tender), with the caboose or passenger car bringing up the rear. 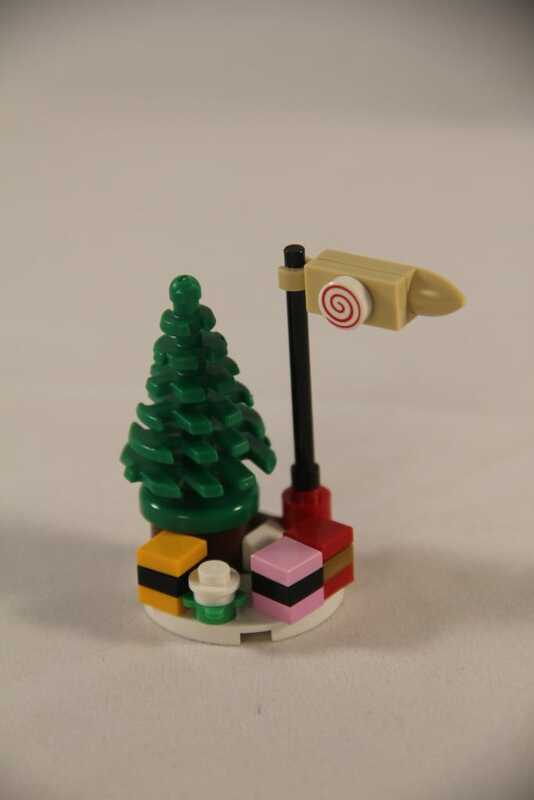 The little tree, presents and flagpole finishes off the build process. There’s a little bit of SNOT thrown in for fun, with the steam tank of the engine and the cow catcher, but that’s it. The rest of it is bricks on bricks. It’s a fun little build that has you smiling the whole way. I thoroughly enjoyed it. It’s strong too, so can take a bit of a battering as it’s driven around the carpet. This set looks perfect. The wheels are very cute, although I would have liked to see the four rear wheels of the engine as bigger, and the vibrancy of the red just makes it pop. I love the inclusion of the candy filled tender. There’s a lolly-pop, ice-cream, candy cane and some presents in there. 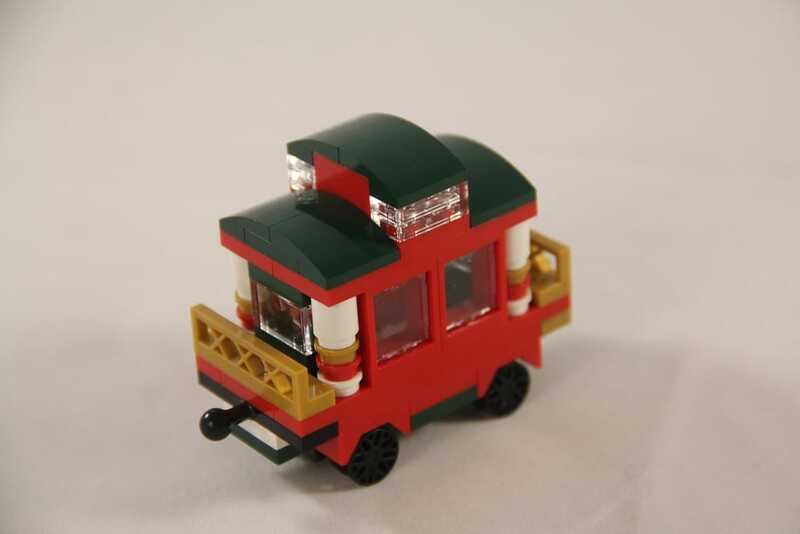 It’s a pity a minifigure doesn’t fit in the caboose, but as a toy train, it’s not expected to. I’d love to try to get this motorised, although it would be tricky at this scale. The value for money with this set is brilliant, as it’s a freebie! Yes, you have to spend at least $99 to get it, but it’s a free set, so well worth it. If you missed out on the deal, you can get a copy of it for around AUD$30. It’s pretty steep after getting one for free, but if you missed it, it’s probably worth it. I’d get in soon though, as the price is sure to rise. 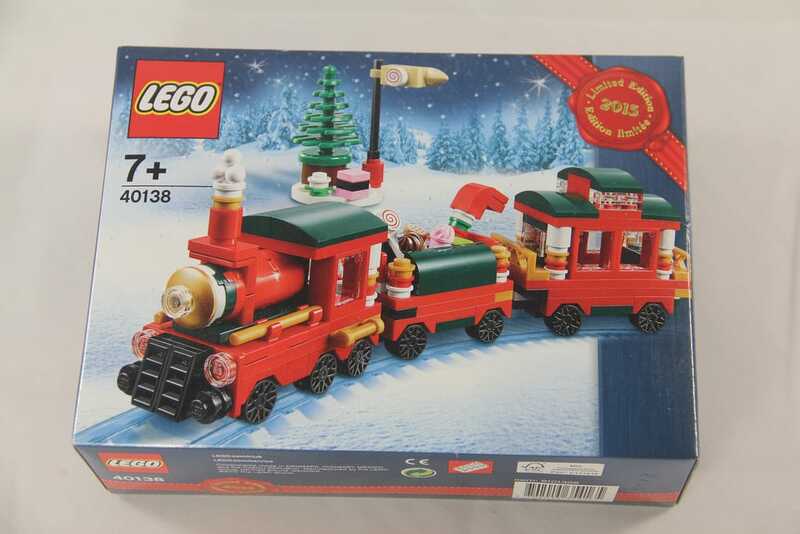 There aren’t many Christmas trains around, so getting this one is a must if you’re a train nut. 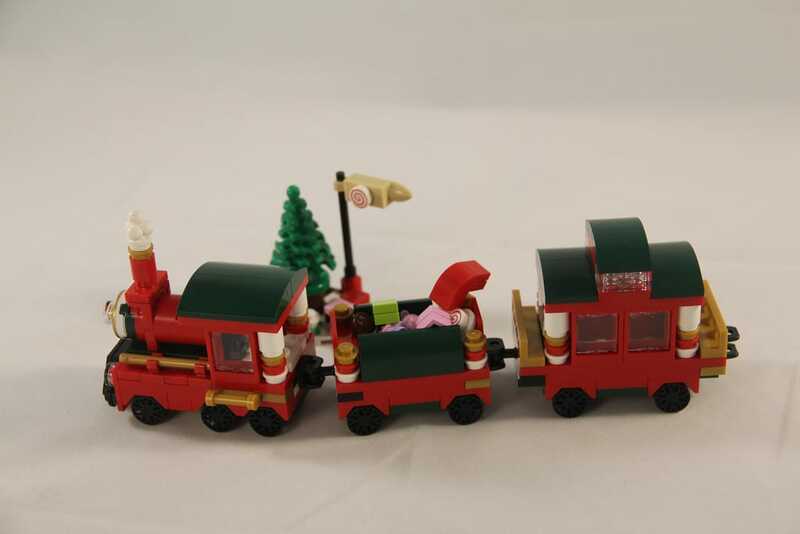 We’ve had 40034: Christmas Train polybag from 2012, this year’s incredible 10254: Winter Holiday Train, and this one, so there’s three in total. Next Monday is Boxing Day, and I’ll be doing a cheeky double review. I’ll be taking a look at 40205: Little Elf Helpers and 40206: Santa. After that, I’m on holidays for a couple of weeks, so there won’t be much happening on the blog, but I’ll be back! One more week til Christmas! Woo!